With top courses such as Brackenridge Park Golf Course and Westin La Cantera Golf Club, San Antonio is become a must-visit destination for golf lovers. The 27-hole Arthur Hills' designed Hyatt Hill Country Golf Club is a quick escape from downtown San Antonio. SAN ANTONIO - In what could easily claim to be the most historic golf state in the U.S. thanks to the likes of Byron Nelson, Ben Hogan, Sam Snead and loads more, San Antonio's legacy holds firm. Evidence of golf in San Antonio dates back to 1886, when soldiers at Fort Sam Houston were known to hit balls around the yard in their spare time. These days, the famous fort has two proper golf courses, including an A.W. Tillinghast design, one of three area golf courses from the golden-era architect. Local muni Brackenridge Park Golf Course, another Tillinghast design, was a regular host of the Texas Open, where these aforementioned greats would tee it up and compete. And soon the recently restored clubhouse will open the Texas Golf Hall of Fame. These days, San Antonio feels a bit different. The River Walk has gone from a simple visionary approach by Robert Hugman to prevent disastrous city flooding to the lifeline of downtown's restaurants, bars and entertainment. On the outskirts of town, massive family amusement parks like Schlitterbahn waterpark, Sea World and Six Flags Fiesta thrive. New golf resorts have popped up, too, like Valero Texas Open host Westin La Cantera Golf Club and the Hyatt Hill Country Resort and Spa. And coming in 2010, the TPC San Antonio and JW Marriott Resort is slated to open with a Greg Norman and Sergio Garcia collaboration, as well as a Pete Dye design. So perhaps the only thing the legendary golfers of the past would recognize about San Antonio these days is the old Alamo itself. Modern golf in San Antonio is impossible to group into one description, as a result of both the city's landscape as well as the history. The city is located on the edge of the Hill Country, so north and northwest courses, like the two courses at the La Cantera Resort, as well as Cedar Creek Golf Course, will feature more spectacular Hill Country terrain built on rocks thick with green vegetation. 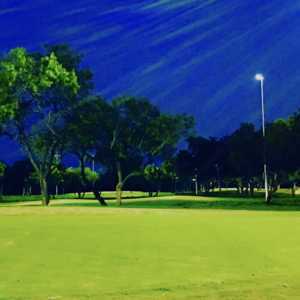 The south and east courses, on the other hand, like the Republic Golf Club and the Pecan Valley Golf Club sit on gently rolling, traditional parkland property. But the Lone Star State knows its golf, and San Antonio can make the case as its golf capital, and that especially goes for the golf traveler looking for both accessible resort golf and visitor's attractions off the golf course. Westin La Cantera, Resort Course and Palmer Course: Host of the Valero Texas Open until the debut of the TPC San Antonio in 2010, La Cantera is the most prestigious game in town right now. 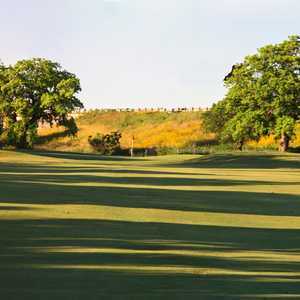 While the Resort Course earns plenty of attention for its roller coaster hole that plays along Six Flags Fiesta, most will agree its the newer Palmer that features better views, with many holes playing along Hill Country high ground. Hyatt Hill Country Golf Club: The Hill Country Golf Club is comprised of 18 original holes from 1993 designed by Arthur Hills, followed by an additional nine added a few years back, though it'll be tough to differentiate between the old and new holes. Here, the Hill Country topography is gentle compared to La Cantera. But some of the holes are anything but, featuring some severe doglegs and tightly lined fairways that demand shot-shaping to find Position A.
Brackenridge Park Golf Course: It took about a year of closure and $7.5 million to restore this Tillinghast design from 1922 to area prominence again. The holes have been restored to their original routing where possible, and bunkers have been made deeper and others added to defend the game's modern advances. The Quarry Golf Club: This is San Antonio's most unique setting, the golf course features nine holes set inside and around an abandoned rock quarry. Keith Foster made the most of the terrain on the 17th hole, nicknamed "Reload." The front side is a more traditional concept, with a mix of links-like rolling fairways with the occasional wetlands. The Republic Golf Club: It's easy to see why since its opening in 2002, The Republic has been a local favorite. The course is extremely well maintained, highlighted by smooth, fast bermuda greens. There's also a ton of turf from tee to green, set on a large amount of green acreage on flood plains southeast of the city, so it's easy swinging. Pecan Valley Golf Club: Set on gently rolling parkland property on the same side of town as The Republic, this 1968 PGA Championship host along the Salado Creek is relevant once again to the modern era following a 1998 redesign by Bob Cupp and hosted the 2001 U.S. Amateur Public Links Championship. For groups looking to stay in the heart of the city, check out the new 1,003-room Grand Hyatt located right on the Riverwalk. Guests can get picked up by a tour boat right here and explore the city via water. The hotel itself features brand new, spacious guest rooms with modern amenities like 32-inch LCD TVs and iHome stereos so you can bring your tunes with you. The concierge service here can also assist you with tee times at any area golf course. For a city break, head just outside of town to the Hyatt Regency Hill Country Resort. With just 500 guest rooms, there's a little more space to kick back here in its ranch house-style accommodations, which include private spacious balconies. This resort is especially family friendly with loads of outdoor activities including a kid camp and a four-acre swimming pool. For adults, the Windflower Spa here is a real treat, set in an old Texas schoolhouse with historical decor and nothing but quiet around. Beautiful golf course with some very difficult holes. Design makes excellent use of the land and took care to preserve nature, as evidence by the wildlife, including Hawks, Cranes, an amazing amount of butterflies and turtles. The Reload hole has a more acute flow and shape than the graceful elbow that is Pebble's 18th, but with canyon walls right and the quarry dropping off to the left, it is a challenging tee shot to a sliver of fairway through a swirling wind. Great course and friendly, accomodating staff.